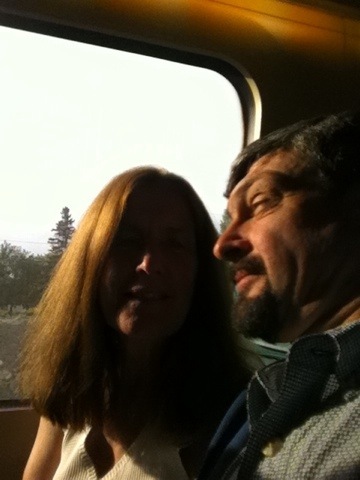 Here we are on route to Ottawa in the train – the Army Run awaits. Traveling by train is so civilized. No pressure, easy and the VIA staff are happy, friendly and relaxed and very good at what they are doing. This entry was posted in Travel and tagged VIA. Bookmark the permalink.